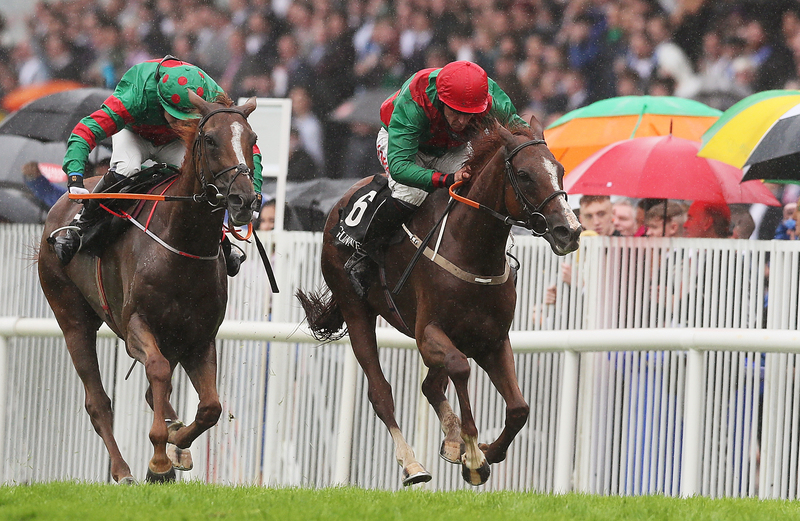 Colin Kidd is considering next Thursday’s Clonmel Oil Chase as a potential next port of call for stable star Rashaan. The Grade Three and Grade Two-winning hurdler opened his account over fences in a Grade Three contest at the Galway Festival in early August, but was beaten on his return to Ballybrit last month. Kidd is targeting the Drinmore Novice Chase at Fairyhouse on December 2, but is keen to give Rashaan another outing beforehand. He said: “He worked this morning, Sean Flanagan came in and rode him and we were very happy. “The ground in Clonmel is good and we’d like to see a bit more rain. He has the entry anyway, so we’ll see. Reflecting on his recent defeat, the trainer added: “His jumping just wasn’t as slick as it was the time before. He was losing ground at every fence. “I think the reason for that is the ground at the Festival was soft and it wasn’t as soft the last day. Rashaan is one of 11 entries for the Clonmel Oil Chase. Bachasson is one of three potential runners for Willie Mullins, who has claimed this two-and-a-half-mile Grade Two three times in the last five years with Arvika Ligeonniere (2013), Champagne Fever (2014) and Alelchi Inois (2016). Bachasson was seriously impressive in Listed events at Thurles and Tramore last season, earning himself a tilt at the Cheltenham Gold Cup in March. However, the seven-year-old – who carries the colours of the O’Connell family made famous by Un De Sceaux – only made it as far as the second fence before coming to grief at Prestbury Park and he could make his first appearance since next week. Mullins has also entered National Hunt Chase hero Rathvinden and Punchestown Festival winner Kemboy. Alpha Des Obeaux won the Clonmel Oil Chase last season for Mouse Morris and is this year one of six possible runners for Gordon Elliott. The Cullentra handler has also entered A Toi Phil, Dinaria Des Obeaux, Doctor Phoenix and Cheltenham Festival winners Shattered Love and The Storyteller, both of whom ran at Down Royal last Saturday. Valseur Lido from Henry de Bromhead’s yard completes the list.